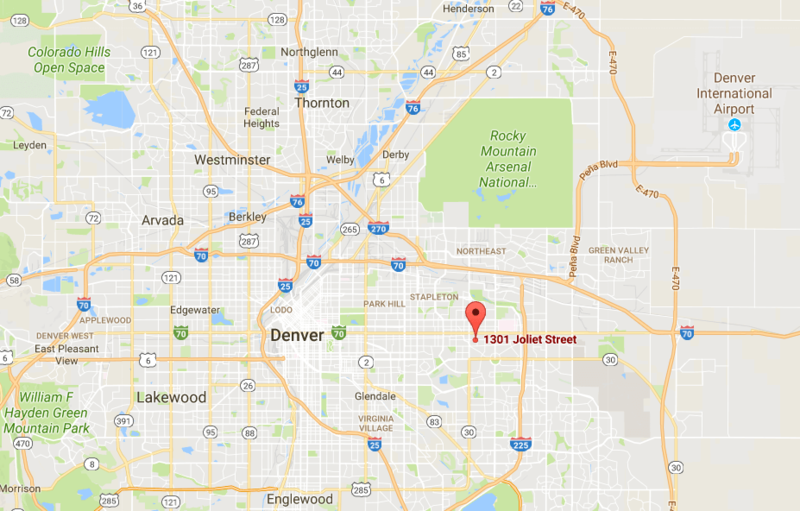 House Hacking in Denver - Still Possible in 2017? If you’re reading this blog you’ve probably heard of the concept of house hacking – the idea of owning a home and doing some sort of creative investing with it in order to build longterm wealth. I’m approached daily with creative ideas from investors on how to make money in real estate and after 20 years in the business I think I’ve heard it all. And to be honest, I’m not too big a fan of super creative investing. I’ve seen too many people fail miserably thinking they’ve cracked the code and figured out something no one has ever thought of before. For every Uber and Amazon there are a million disastrous investment ideas, poorly conceived and even worse executed. For the most part I council people to stick to the middle lane and build great wealth over time the old fashioned way, by working for it. But, this being a blog on Denver house hacking I wanted to review a few ways I’ve seen my clients, friends and colleagues make money in real estate that at least border on the creative. Not crazy one-in-a-million stuff that is closer to bordering on the insane, but more like an investing entrée with a side of creativity. The best thing about these methods is they work. They might not win you a slick award at the next guru seminar in Las Vegas for the most creative idea ever, but they will make you money and keep your risk low. Which is why you’re reading this blog in the first place. The first real estate investing idea I’ll talk about is buying a duplex, triplex or fourplex and living in one of the units while you rent out the rest. I LOVE this approach. It solves so many problems first time investors have… if they’re willing to live with their tenants in the neighborhoods where it makes financial sense to buy these properties (more on that soon). The biggest advantage is that you can buy a property with just 5% down, instead of the typical 20% - 25% you’ll need to buy a rental if you don’t live in it. Think about it, you can buy a rental with just 5% down! And not only that, depending on what you buy and where you buy it, you can have a lot of your monthly Principle, Interest, Taxes, Insurance (PITI) and Mortgage Insurance payment paid for by your tenant(s) and live for almost free. Truly a great idea if you’re willing to live with your tenants. As an example, I pulled a triplex currently available on the MLS and ran the numbers. 1301 Joliet St, Aurora is a 3 unit property with a total of 2,850 finished square feet. Two of the units are 2/1’s and one is a 3/1. Great income property. 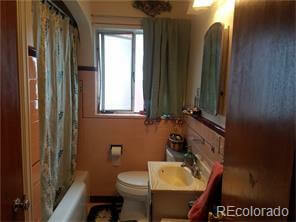 Triplex with two units above ground which are side by side and basement apartment below the three bed one bath unit. 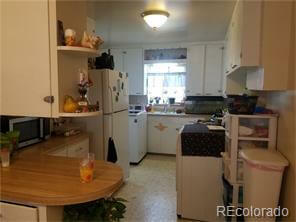 Main floor unit has hardwood floors in bedrooms and under carpet in living room, spacious kitchen with eating area. 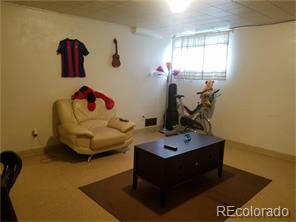 Basement unit has two bedrooms, living room, bath and kitchen. The other unit is a two bedroom one bath with double pane windows. Property could use some updating at some point. Great location near University, Children's and VA Hospitals. Landlord pays gas and electric for the Basement unit and three bedroom unit on one meter, trash and water for all units and the two bedroom unit on the west side the tenant pays their own gas and electric. Basement bedroom - Egress windows? I ran a quick analysis on the unit and if you paid full price at $430k, putting 5% down with a 30 year loan at 5% interest rate, the monthly PITI + MI would be $2,548. The current rent for the 3 bedroom and one of the 2 bedrooms is $2,100, meaning your out of pocket top line number is $448/month. And since the interest on your PI payment is deductible, AND since about 15% of your first monthly PI payment is principle, you are literally living for free and actually even making a little money to live there. Just incredible and very very doable. Why Isn't Everyone House Hacking? So why isn’t everyone house hacking? A couple of reasons. First, let’s start with this particular triplex. I saw that one of the units is in the basement. I didn’t research the property beyond what I read in the MLS listing but it’s entirely possible that the basement unit is non-conforming, meaning the City of Aurora says it is not up to code. That may or may not bother you. 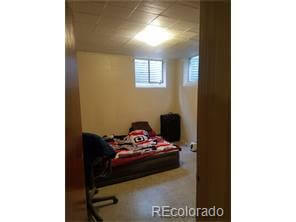 There are thousands of rental units in Denver that are non-conforming, only you can decide whether you’re ok with this (and maybe your attorney and accountant as well). The second item of concern with this triplex is I don’t know if there are legal egress windows in the basement unit. God forbid there is a fire and someone gets hurt. These are just a few of the things to consider when you’re looking at being a little creative in your investing. Proceed with caution and make the right decision for yourself. But the bigger issue is one I’ve run into over and over again with investors who come to me to buy a multi unit and live in one of the units. Let me lay it out for you. The guy comes into my office and says he and his wife want to invest in Denver real estate by buying and living in a multi unit to house hack. So far so good. Then we talk about where they might buy, what sort of neighborhoods they’d look to live in. And really, I don’t want to sound sexist, but every single time the guy’s wife takes a look at the unit, the neighborhood, the condition of the property, etc. the wife has completely vetoed the idea. In no uncertain terms. Seriously, every time I’ve had a married couple approach me with this plan this is what has happened. So what I do now is ask the guy right up front if his wife is onboard, if they’ve checked out neighborhoods and whether this is something that’ll work for both of them. Because if it will, it’s an awesome plan. Unfortunately, I’ve only worked with single guys who’ve done this (and very successfully I might add!). Ladies, the ball is in your court. The basic problem with buying a multi unit for house hacking in Denver in today’s market is they’re very expensive, so to make the numbers work you might need to buy a property in a marginal neighborhood. This might work for some folks but not for others. You need to figure that out for yourselves. What I can tell you for sure is the numbers work if you’re ok with your soon-to-be living situation. I have many examples of folks who started out their investing careers doing just this and have blossomed into full time, top notch real estate investors. You just have to deal with living somewhere you might not otherwise want to live, next to someone you might otherwise not want to live with. Not for the faint of heart perhaps, but a great way to get started in real estate investing. A variation on the theme of house hacking a multi unit has been to buy a ranch with a basement and rent out either the main floor or the basement, whichever you prefer. It’s the same basic concept as buying the multi unit but has a few advantages that have solved some problems for some of my investors. The number one advantage to this approach is you can buy a nicer property in a nicer area and still make the numbers work as well and sometimes even better than buying a multi unit. So, instead of buying on 1301 Joliet St. and living in Aurora North and having a potentially non conforming unit, you can buy a ranch in a nice middle income neighborhood in, say Lakewood or Wheat Ridge and rent the main floor or basement. You’re still living with your tenant but there are now dozens of potential properties on the market to choose from instead of the tiny handful of multi units you’d have to select from in this tight market. What you’re looking for is a basement that fits what you’re looking to achieve. If you’re handy, maybe you want to finish it out and add value to your property. If you’re not, you’re looking for a finished basement that you can add a kitchen area to. Either way, you’re looking for a property that has a separate entrance for the basement, or at least as separate as possible because there are lots of variations in how these look. The other thing you’re looking for is a finished bath in the basement, unless you’re really good at making these sort of renovations. 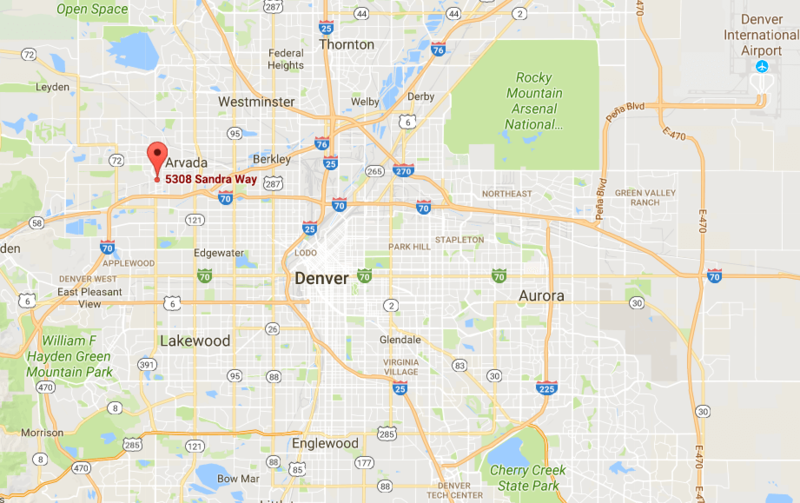 As an example, I went to the MLS and started searching on the west side of town and came up with 5308 Sandra Way, Arvada. This is a 1,500 finished square foot ranch with 850 sq. ft. up and 850 sq. ft. down. On the main floor it has 2 bedrooms and 1 bath and in the basement is has 1 bedroom and one 3/4 bath (that has a shower). It was priced at $314,900. So let’s say you bought this property at the asking price and got the same terms as the triplex we discussed: 5% down, 5% interest rate, 30 year fixed loan. The PITI + MI comes out to $1,855. Not let’s say you live in the basement unit. 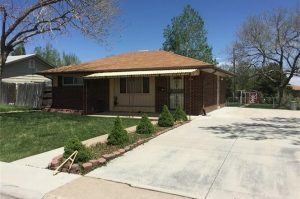 A main floor 2/1 in a nice Arvada neighborhood with plenty of parking should rent for about $1,500. Once again, after the interest tax deduction and the 15% of the PI going towards principle you are living for free, just as you did in the triplex. But instead of living in Aurora North you are living in Arvada. You now have lots of parking, a nice backyard, and you’re closer to the mountains. And you’re not dealing with a potential non conforming property. Is House Hacking in Denver Right For You? Still, you are living with your tenant. You’re sharing the water and Xcel utilities so that needs to be worked out. You are making sacrifices on the altar of real estate investing. But depending on who you are, what your circumstances are, your ability to deal with, uh, stuff, this might make sense for you to pursue. Both options, the multi unit and the ranch have huge advantages for the budding real estate mogul with limited funds, limited experience and limited downside risk tolerance. They are real, viable ways to get started in investing, if you’re up to the challenge. We love talking about Denver house hacking. Please reach out to us if you're thinking about it and setup your real estate investing consultation.